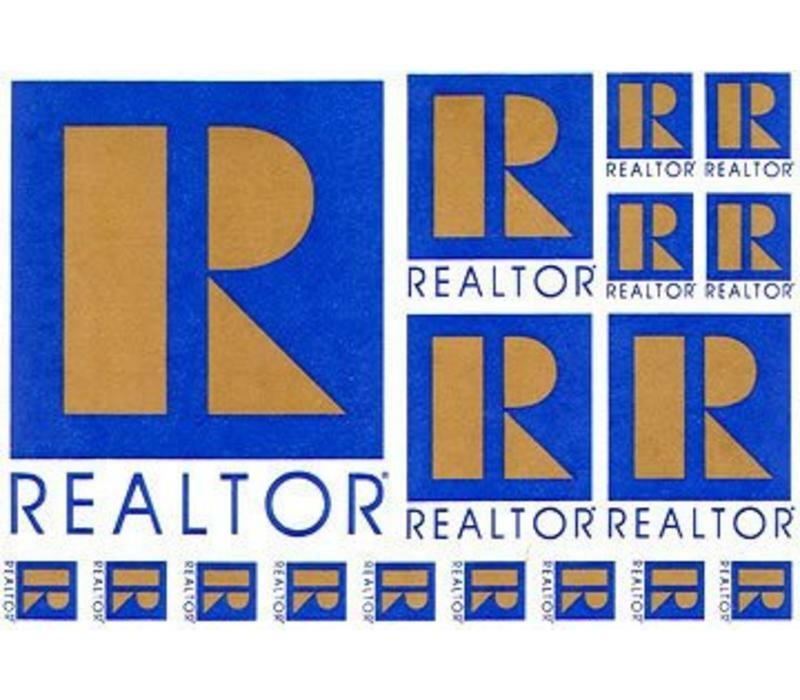 Realtor Logo Products-Decal Sheet-Static Cling-These are Reverse plastic static cling decals that you would put inside a window facing outwards. Sizes include 1 ea. 8.5"X 7" 3 ea. 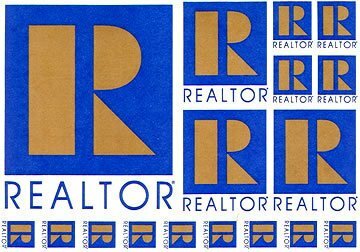 4.25" X 3.5" 4ea. 2" X 1.75" and 9 ea. 1.5" X 1.5"